Innovative style, functionality and on trend looks: unique and unmistakable design and details. The story begins with the unseen. What is hidden highlights the exclusivity. Born in the beauty that is seen outside. What is inside is not always invisible. What is deep and secret manifests the true nature. There are two faces to being exclusive. The art of tailoring is found in the study and research of those forms and lines able to create the true essence of the self. RJB trousers are revealed wearing the double identity of an urban and functional clothing that is sober and impeccable, versatile and personal. Personality is reflected in the design of the expressive insides. The innovative design ensures a sophisticated denim, decisive and modern, perfect in both formal or casual environments, in urban areas or the most informal moments. 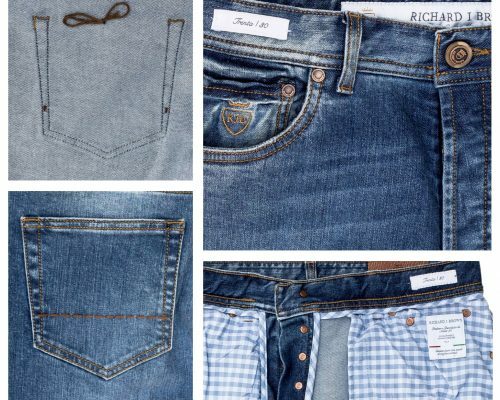 RJB denim is authentic and unique, specific for every man and woman, with fine and unusual details, elegant finishes and innovative manufacturing processes. Attention is given to every part of the garment, both outside and inside and is the result of deep research not only of the classic tela fabric, but on unusual materials for the 5-pocket world, like very high-quality cashmere and silk and creative structural work. The cotton-edged inside seams exalt the art of style in fun, colourful prints traditionally used in shirting. 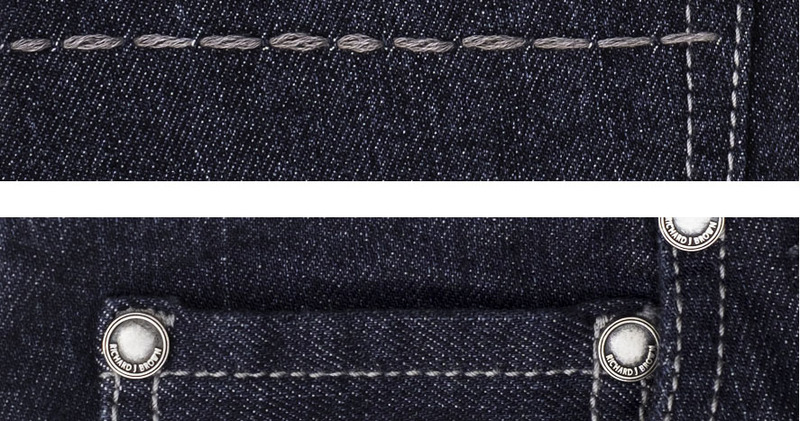 The selvage denim is cut by hand to leave in evidence all the details, enhancing the original and spontaneous spirit. The hallmark of any RJB trouser is “the hand stitching” on the back pockets sewn by expert embroiderers with fine yarns. 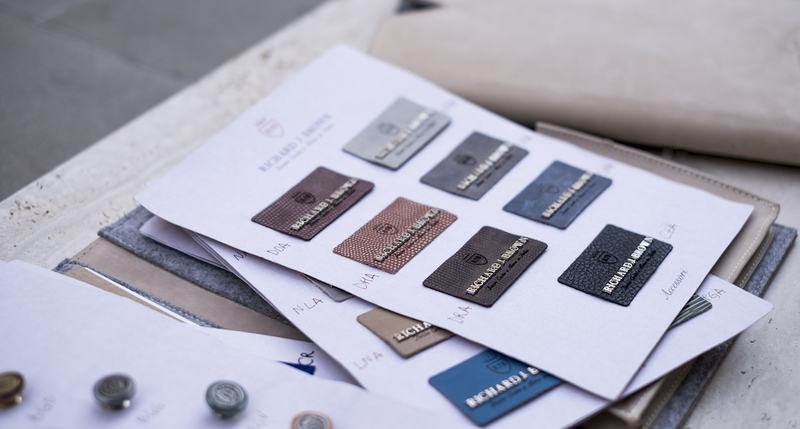 The yarn used reflects the colours used for the rich and important patch, in several versions, from suede to nubby fabrics and enriched with an embossed or galvanized metal logo. 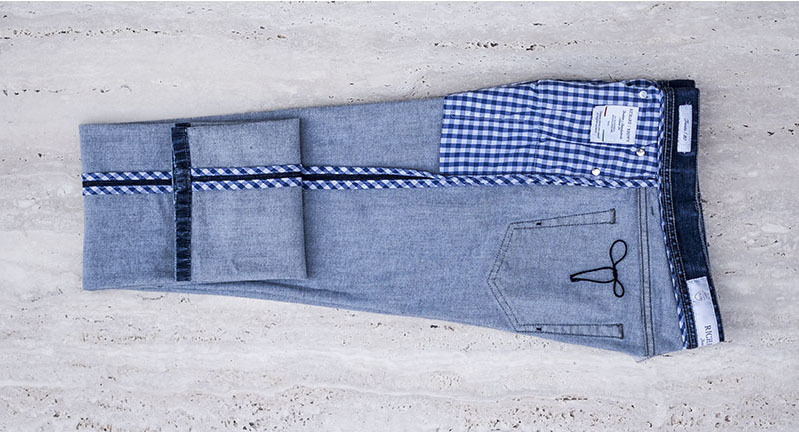 The front pocket lining ensures the best anti-wear qualities. 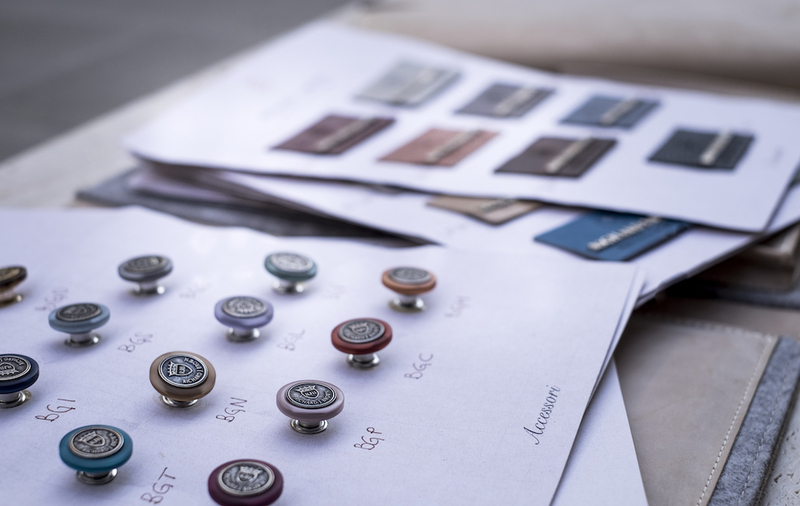 From rivets and swivel buttons, finely customised, almost like the trace of a confidential agreement, is the hangtag tied to the back pocket with a hand-knotted bow… to untie before use. for all fits and various women’s and men’s styles. Perfect combination of classic spirit and cutting-edge design. Ideal synthesis of comfort and functionality, open to the demands of everyday life. Denim heart, Italian charm, elegant lines. RJB dresses every moment, every shape, every situation with attention and personality. Warm and comfortable in winter, fresh and light in summer, the special trousers come along with you in any time of day. Each model is special based on the fabrics, processing and personalisation. The play of the collections ranges from a knowledgeable use of fabrics and innovative manufacturing processes to the pleasure of colours in harmony with buttons, tags and rivets and even more with the prints used for the inside edging that make each garment unique and exclusive. Great attention is given to fit with a wide range of sizes, available upon store request also with intermediate sizes. The Richard J. Brown style office draws inspiration from travel throughout the world, always looking at different locations to grasp each detail as the right stimulus to the creative process. At the centre are the latest trends and fit needs, which intersect with brand’s core models, already firmly established internationally.